It looks like the amanita muscaria mushrooms made their appearance in the game when the world of New York sewers, from the original Mario Bros's game (1983), was replaced by the Mushroom Kingdom in Super Mario Bros (1985). 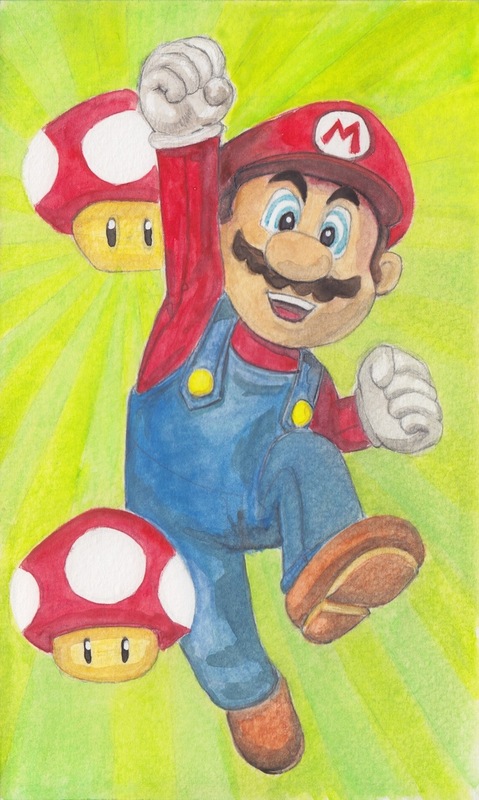 In the updated version, the plumber who's role was to defeat various strange creatures lurking in the pipes, changed to saving Princess Toadstool. A toadstool is a mushroom who's classic appearance is that of the amanita muscaria. So I guess the new goal is to save Princess Mushroom in the Mushroom Kingdom. Along the way to saving the princess, Mario comes in contact with various creatures including various types of mushrooms. The ones that look the most like the amanita muscaria are magic mushrooms that give Mario superpowers and allow him to grow and shrink whenever he comes in contact with them... a little like Alice in Wonderland.